SPOLOČENSKÉ HRY | Costume Party Assassins EN - spoločenská hra | Funtastic.sk - spoločenské hry, knihy, komiksy, figúrky. 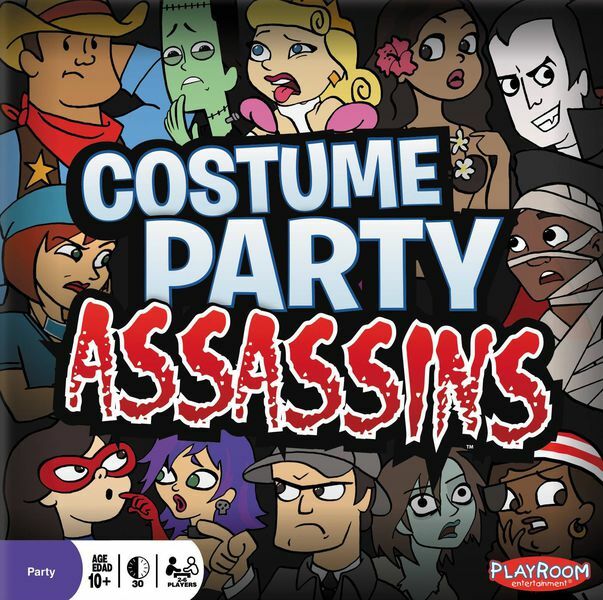 In Costume Party Assassins, you are all rival assassins who have been invited to the same costume party. Because of the elaborate costumes, you do not know anyone's identity except your own. Roam the party, mingle, have some punch, and try to assassinate all of your rivals. Be the last assassin partying, and you win! 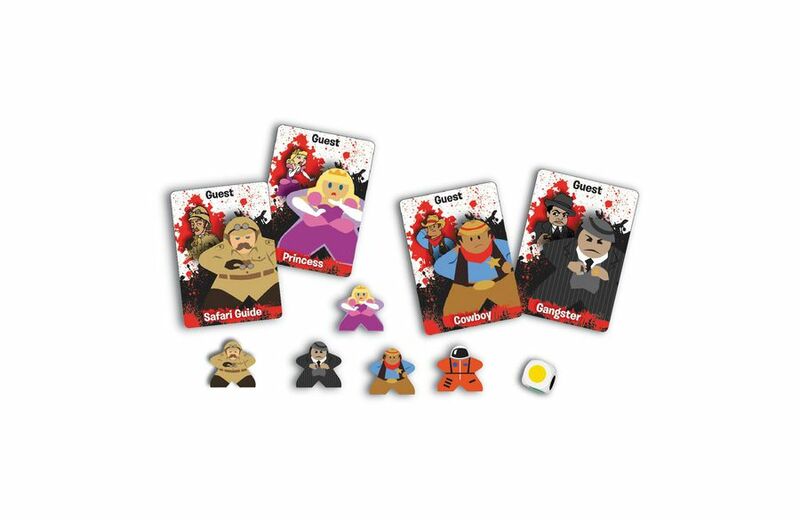 Players are secretly assigned one of twenty unique meeple characters at the beginning of the game using character cards. 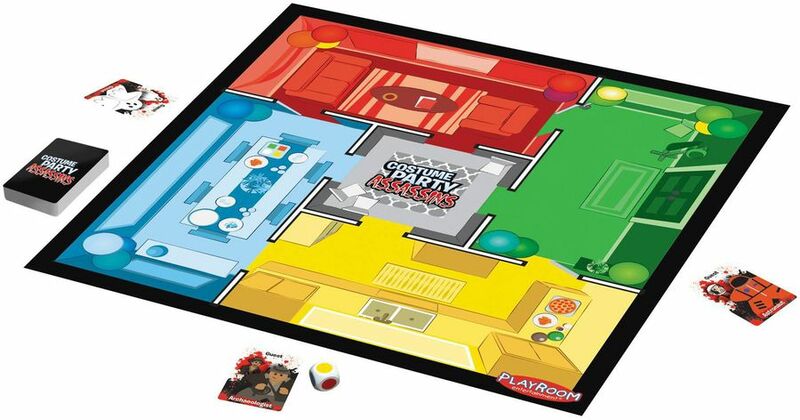 On your turn, you roll the die and move any character on the board according to simple movement rules. If you roll black, however, you must act! You may either assassinate (remove) one meeple from the room your secret character is in (thus revealing vital information about your identity), or you may draw the top card of character deck. The character on the card "leaves the party" and is removed from the game. You may draw a character card at most three times, after which you must assassinate a character in the same room as your secret character. If you are the only character in a room and you have already drawn three character cards, you are dishonored and must assassinate yourself! If your character is assassinated, you reveal your character card and are eliminated from the game. The last player to have a character in the game wins!